The overall intent of the companion animal rules is straightforward: Landlords are required to waive pet policies as a reasonable accommodation for a tenant with a disability. But, in practice, these rules can be difficult to navigate, especially when it comes to the day-to-day management of rental properties. For many private landlords, finding answers to their questions is a monumental task, and it may require hiring an attorney or speaking preemptively with a local housing agency. Some landlords are unaware of the companion animal rules altogether, and don’t find out about the requirements until there is an investigation. These rules are intentionally broad — designed to be applied on a case-by-case basis. To complicate matters, there is an interplay between the companion animal rules and local laws regarding pets, health and safety. Landlords have to comply with both sets of laws. Need the companion animal for treatment of that disability. 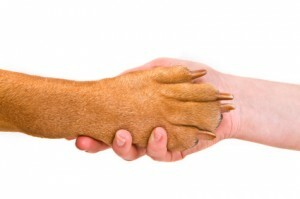 The recommendation for the companion animal must be made by a health care practitioner. One of the major differences between companion animals and service animals is the degree of training. A companion animal, used for emotional support, does not need to possess any special skill or training, and landlords are prohibited from asking about special training or certifications as with service animals. That rule leads to some common problems. For example, can a landlord evict a tenant who fails to pick up the animal’s waste? In one instance, the other tenants have become so frustrated from stepping in dog poop that they’re demanding the landlord pay to replace their shoes. HUD has issued a statement that, despite the prohibitions on applying pet policies, rental property owners do retain the right to regulate animals in accordance with laws and safety standards. While that seems a generous concession, HUD also makes it clear that the threat to others must be a significant risk — not a “remote” or “speculative” risk. A policy or action can not be based on fear or speculation about the types of harm or damage an animal may cause, or evidence about harm or damage caused by others. The determination of whether an assistance animal poses a direct threat must rely on an “individualized” assessment that is based on “objective evidence” about the specific animal in question, such as the animal’s current conduct or a recent history of overt acts. The assessment must consider the nature, duration, and severity of the risk of injury; the probability that the potential injury will actually occur; and whether reasonable modifications of rules, policies, practices, procedures, or services will reduce the risk. In evaluating a recent history of overt acts, a provider must take into account whether the assistance animal’s owner has taken any action that has reduced or eliminated the risk. Examples would include obtaining specific training, medication, or equipment for the animal. HUD has contemplated that the companion animal’s owner must properly dispose of all waste in accordance with local health laws. Likewise, HUD advises that landlords do not have to accommodate any companion animal that is or becomes unruly or disruptive, unclean, or unhealthy to the extent that the animal’s behavior or condition poses a direct threat to the health or safety of others. How far can landlords go in regulating pets? Can landlords demand that companion animals be spayed or neutered and vaccinated? According to HUD, a person with a disability who uses an assistance animal is responsible for the animal’s care and maintenance. HUD has suggested that this may include proper veterinary care and vaccinations. However, the landlord’s regulation must be based on public safety or health concerns, or conform to local laws. So, for example, if the local health department requires all animals within city limits to be neutered or spayed, to have a rabies vaccination, to be on a leash, or have a license, then the landlord should be able to enforce those same standards. The trick is deciphering whether the rental policy is only as restrictive as the law the landlord is trying to follow. For instance, if California Public Health requires dogs to be licensed, and to obtain a license, the animal must have a rabies vaccination, then it would appear perfectly reasonable to demand that the dog be vaccinated. But, keep in mind that companion animals aren’t just dogs and cats. That rule may or may not apply to a guinea pig, rabbits, hamsters, snakes or pot-bellied pigs, or example. Perhaps the safest approach is to demand that the tenant meet any minimum standards set out by law regarding the regulation of animals in residences. Landlords also should be aware that HUD has on occasion determined that some local laws are over-restrictive when it comes to other aspects of housing discrimination. Still, a landlord’s best bet is to require the tenant to follow the law and standard practices for handling animals, and avoid trying to dictate what those actions should be. Another issue that some landlords and property managers are facing is multiple companion animals in the same unit. Sometimes a tenant wants more than one companion animal. So far, the rules regarding companion animals are drafted is the singular — “a” companion, or “the” companion. Because these laws are intended to be case-specific, it is not inconceivable that a health care practitioner might recommend more than one animal. Similarly, more than one tenant in a unit may qualify for a companion animal. In these cases, the landlord may have to follow any local restrictions or limits on the number of animals allowed in one unit. Rejecting an animal based on speculation of what may happen is not allowed; the landlord will have to decide if the specific situation meets any of the exceptions. It is easy to see that, as this area of law continues to develop, the best practice is to contact your attorney, or speak with the local fair housing branch before evicting a tenant or rejecting an applicant over a companion animal request. Next post: Do Tenants Have to Pay for Repairs?